Yes, we’ve been down this road before at DOTW, but our vehicle has had parts of its engine replaced. First, we covered the Corpse Reviver #2, and then we eventually got around to the far lesser known original Corpse Reviver. However, I’ve decided to take another look at the original version of the drink, owing to my recent discovery of an ingredient I’ve been shamelessly ignoring up until very recently: applejack, an American brandy that fell out of favor during prohibition. 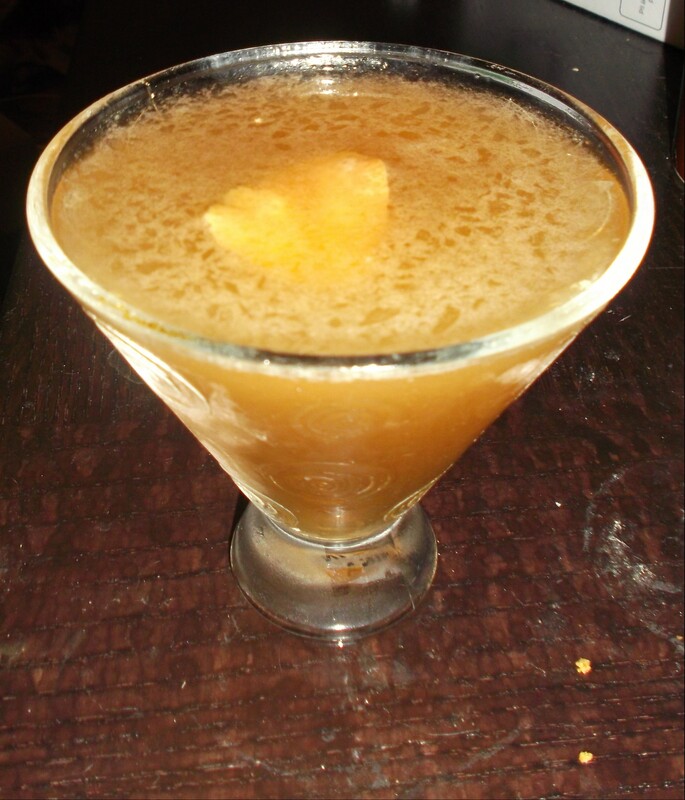 The Craddock Corpse Reviver recipe called for either applejack or calvados, it’s more complicated French cousin. The first time around, I went with the latter, since buying the pricey French stuff seemed like enough of an expense and most recipes I found online seemed to imply that there wasn’t much of a difference between the two brandies. So, I’m here to tell you that, if you keep your Corpse Reviver nice and simple and use applejack and not calvados, you’ll have a drink that’s more pleasant than other versions — even if its resurrection inducing qualities remain in grave doubt. Combine the ingredients in a cocktail shaker or, if you like, a mixing glass. Then either shake or stir — I lean towards shaking — and strain into a chilled cocktail glass. Toast Walt Disney, Marvel Comics and their various descendants and imitators for their ability to revive our favorite seemingly dead fictional pals again and again and again. 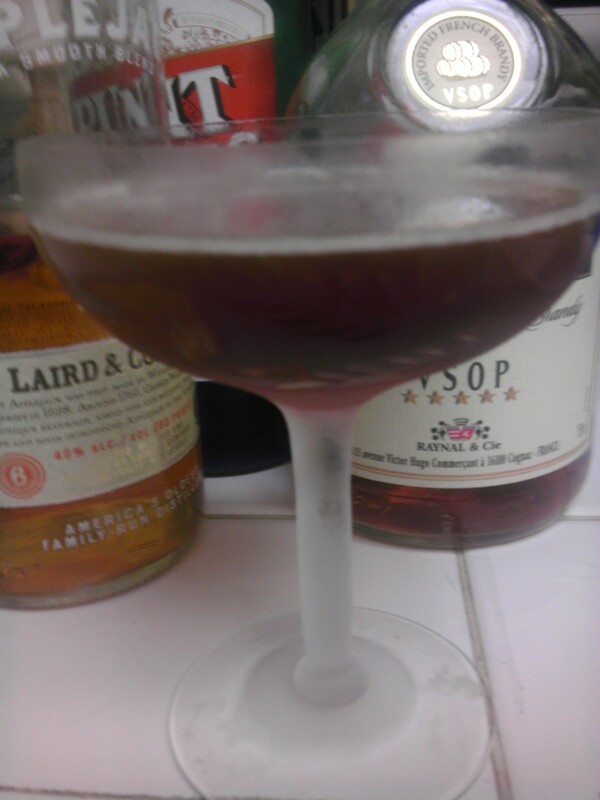 I tried my Laird’s Applejack laced Corpse Reviver first with the remains of my bottle of Noilly Pratt sweet vermouth and it was subtly delightful, even as it was time to toss my wonderful and hard to find half-size bottle away. I loved the simpler, less abrasive take on the first Corpse Reviver, which I think has never really taken off partly because many versions of it are more fruity and complex than drinkable. Indeed, when I tried a higher end sweet vermouth, Dolin, it didn’t come together for me at all; nor was the bitter-bottomed Punt e Mes, a huge favorite of mine, a particular success. It really does seem as if a simpler but tasty American apple brandy also requires a simpler but tasty French sweet vermouth. Now’s the time at Drink of the Week when we dance. Halloween this year is a bit awkwardly placed, arriving next Thursday and forcing me to do my annual spooky-themed cocktail a bit too early for true relevance. I suppose people who throw Halloween parties are having the same kind of issue, having to decide whether to throw their soirees the weekend before or the weekend after. Well, the awkwardness is only going to get more awkward. I originally had a more appropriately named drink to present you. However, a beverage that had been presented to me by a mysterious benefactor, and which sounded pretty tasty, just didn’t work at all when I tried it out at the Drink of the Week laboratory. Instead, I’m going with yet another in long line of little known classics. Today’s beverage is the time-honored but much lesser known companion to the wondrous Pisco Sour, the Capitan. I’ve renamed it after the Dracula creator in the spirit of the holiday and my propensity for silly movie-related in-jokes. Regular cocktailers will see pretty quickly that this is basically a Pisco Manhattan, so the directions are pretty much the same as the way I’d suggest you’d make a Manhattan. Combine the liquid ingredients in a cocktail shaker with plenty of ice. Shake, and strain into a chilled cocktail glass. Add the cherry, and toast Bram Stoker or the deceased horror author of your choice — Edgar Allen Poe, Mary Shelley, Shirley Jackson, Richard Matheson or, yes, even Bram Stoker even if he actually wasn’t that great a writer. Much as many horror tales are about paying off a dark debt, today’s drink is the result of free booze given to me by the makers of Porton Pisco, easily the best known Pisco here in the States and, not surprisingly, made to please the Yanqui palate. Though I had to admit that, it’s not something I’d quaff straight up by choice, that also applies to most gins. All that really matters is that it works very nicely in the right cocktail. That definitely includes the absolutely wonderful Pisco Sour we made here some time ago. Pisco has a lot of truly unusual flavor notes which seem to work best in the appropriately popular sour, but the Capitan is a lively second best. 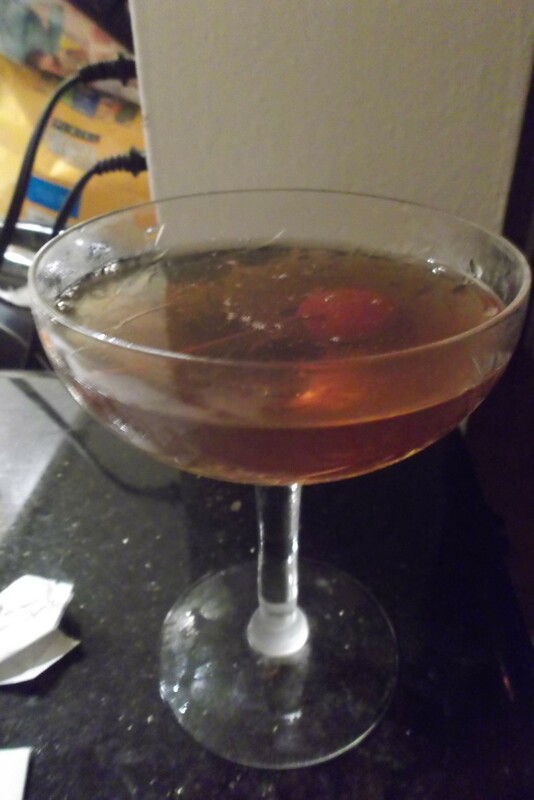 Some recipes call for equal parts Pisco and sweet vermouth, but I prefer more Manhattan-esque proportions. It’s makes for a tangy, but reasonably stiff, change of pace. It’s also a good time mention one of that film’s stars, the great Christopher Lee, 91 and still at it, thank goodness. He sings a bit in “The Wicker Man,” but not about cocktails. So, once again, I present a favorite clip where he does sing about our very favorite subject. I think it’s fair to say that probably no one really likes martinis as beginning drinkers. 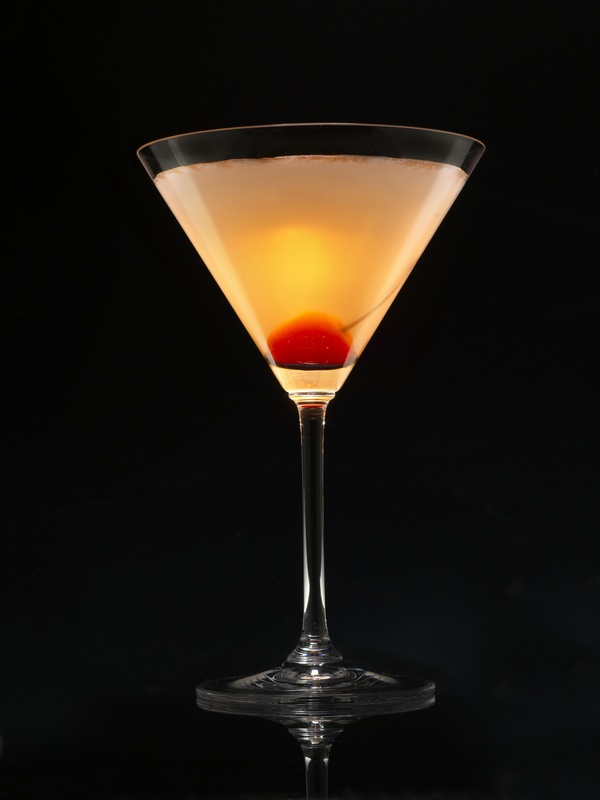 Vodka martinis might go down a bit easier than gin, but to neophytes, martinis taste pretty much like straight booze, and not in a good way. No wonder most of us start with rum and Coke, screwdrivers, the hated (by me…even when I was drinking them) Long Island Ice Teas, and my early favorite, Kamikazes (I’ll probably do that one eventually). Indeed, the only reason I developed my early affection for vodka martinis, which later graduated to gin, was that I really love olives and found green ones tasted extra-delicious after soaking in alcohol for a bit. So, it was sort of refreshing to find that I can still acquire a taste, as this week’s drink did not go down well initially. I wasn’t alone. Frankly, the Fernet Branca Cocktail doesn’t seem to have many fans. I got it from Harry Craddock’s classic Savoy Cocktail Book, which regular readers will note I’ve been referring to a lot recently. Still, this particular drink is more esoteric than most. Indeed, the only online reference I could find was a 2008 post from Erik Ellestad’s Savoy Stomp blog. Ellestad’s project (still ongoing as far as I can tell) is to make every cocktail in Craddock’s recipe-filled tome. He didn’t seem overly fond of this one. Still, I got to sorta like the drink named for perhaps the ultimate cult liqueur. Combine the ingredients in a cocktail shaker with tons of ice. Shake vigorously and strain into a cocktail shaker. Sip slowly, perhaps toasting St. Patrick, who was not only the patron saint of the Irish, but also of second chances. Harry Craddock promotes this drink as a hangover cure, and it’s true that Fernet began its life as a stomach medicine. Nevertheless, my initial reaction was that, while it might not be an effective cure for hangovers, it was probably nasty enough it might prevent future ones by discouraging you from drinking at all. I tried it again. This time, though, I used one of my favorite ingredients, Punt e Mes, a delicious vermouth with more of a bitter edge than most brands. I seemed to like it better now. Was the chocolatey bitterness of the Punt e Mes somehow cancelling out the more acrid/medicinal flavor of the Fernet? Well, then I tried it again with good ol’ sweet Noilly Pratt and I found I liked it better still. I guess I was just getting used to it. Now, will the Fernet Branca Cocktail ever become a personal go-to drink for me the way a martini is now? I really don’t think so. Still, it is a way to acquaint ourselves with the many odd, and I do mean odd, flavors of Fernet.